Political Party slogans – Did they inspire you? These slogans have hit us from all sides in recent weeks – in the media, on billboards, social media and on the endless barrage of flyers which have piled up at the front door. Love them or hate them, political party slogans are key to winning election campaigns. They’re the few words that summarise what a particular party stands for, and are an important tool for connecting with the broadest spectrum of voters, from the apathetic to the party faithful. It could be argued that today’s party slogans must work harder than ever. Our always-on society, where information is available 24/7 and we’re influenced by a greater range of media channels, means politicians have to fight even harder to get our attention. Their messages must be original and even more compelling. Now, in the aftermath of May 7th, it appears the Conservative Party’s ‘together’ message was the most resonate. 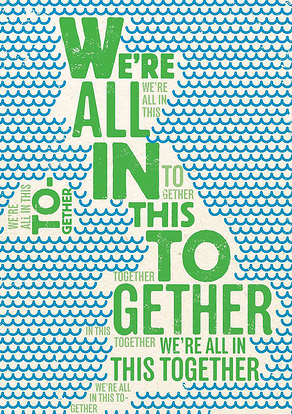 Whether or not the Conservative Party won your vote, it’s got to be said that the ‘together’ message was a clever move. But what was it about this slogan that made it so effective? I suspect the answer lies in its simplicity. In almost every interview, and in almost every publicity stunt, the Prime Minister and Conservative MPs were able to draw out the ‘together’ message, such was its simplicity and relevance to almost every topic they wanted to talk about. The slogans of Labour and the Liberal Democrats were undoubtedly clever, well-researched and thought-through. But the Conservative slogan could be used in soundbytes and in fuller political discussion. It worked on an emotive and practical level, backing up the Conservative Party line on the economy, on health, education and transport. Perhaps because it was so versatile, this choice of slogan enabled more MPs and Conservative commentators to get their message across more often and perhaps more effectively, than any other party. Though perhaps some of the success of ‘together’ was purely and simply down to good timing. With a country only just beginning to recover from severe recession, ‘together’ is a message which British people, regardless of political bent, want to believe in. A positive, simple and aspirational message is one we can all rally behind.